When Wix first appeared, it wasn’t a solution for professionals; only to DIY website owners who saw it as an easy solution. The problem with Wix at the time was the fact that their drag and drop builder was built using Flash. However, they moved on from Flash many years ago and they are now one of the biggest website builders. Most of their focus was on making their drag and drop builder easy for DIY website owners who are simply looking for something that works. The truth is that Wix has been making a lot of efforts to make their platform know. One of the most recent ones was the Super Bowl 2017 campaign where they used the services of Jason Statham, the starring Hollywood actor. Talking about today, Wix hosts about 90 billion websites. Their amazing layouts that suit small businesses, photographers, musicians, and online stores, not to mention their optimization for mobile devices has been increasing Wix’s popularity. They even have their own Wix App Market. Even though you can use Wix for free, the truth is that when you want to use your own domain name, which is highly preferable, you will need to choose one of their five premium plans. 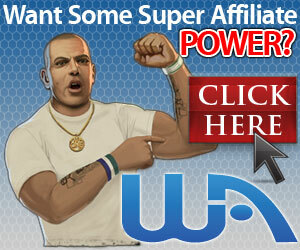 So, is Wix the platform for you? Can you use Wix to design your company website? Here’s a comprehensive Wix website building platform review that will help you make up your mind. It doesn’t matter if you choose their free plan or one of the paid plans they have, you just need your email address to create a Wix account. From here, you will need to choose a template for your website. One of the things that you will like to know is that, unlike Weebly, for example, at Wix you have many different templates for different kinds of businesses. While some are paid, others are free. Plus, when you are choosing one, you can see how it will look like on mobile devices. And you know how important this is with the growth of mobile users searching the Internet. Wix interface is absolutely amazing and very intuitive. Even if this is the first website that you are developing, you can be sure that you won’t have any problems. As soon as you start editing the template you chose, you’ll be able to edit any of the elements that you have. When you hover the mouse over the five round buttons, you’ll be able to add elements, access the App Market, change the background, start blogging, and see your uploads. And in case you’re editing the area under these buttons, just click to hide them so they won’t get in your way. You can include a huge variety of elements, just like on any other webpage. From media to text, buttons, social media widgets, shapes, among many others. In case you can’t find what you’re looking for, just head onto the All Market. One of the best advantages of Wix, and the one that keeps attracting many small business owners, is the fact that you don’t need to know any code. In order to edit an element, just click on it and use the dragging buttons or the resizing handles. When you want to edit the text, just double-click on it to edit it or format it. When you want to make sure that certain objects have the same size and are aligned, just use the toolbar on the right. Looking for effects like spin-in, bounce-in, and others? You can have it as well with Wix. Another feature that you may like to use when you’re building your website at Wix is that it allows you to have pages that require a membership sign-up or sign-in or can be password-protected. If there is one thing that we would love to see in the main account administrative interface is the site-traffic reporting. However, there’s a way to have them for free. You just need to use the Web-Stats app. 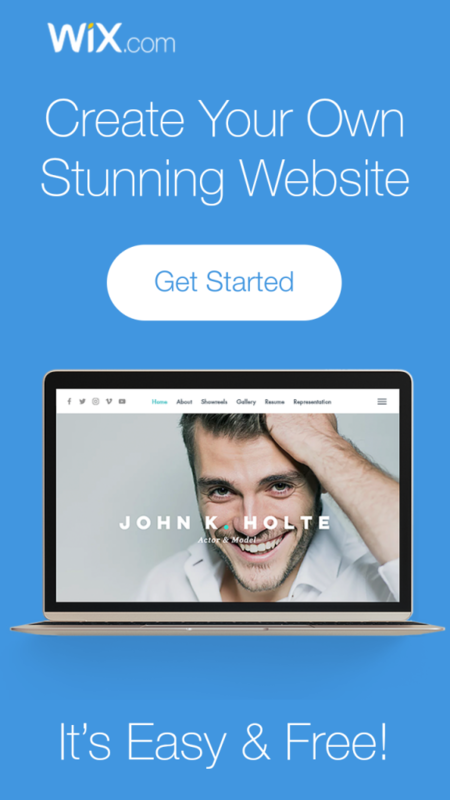 The two main Wix competitors are, without any question, Squarespace and Weebly. However, in terms of working with both images and videos, they don’t even stand a chance. The truth is that while Wix allows you to use the same image as many times as you want without re-uploading it, the other two website builders don’t. Plus, when you’re developing your website with Wix, you can use different online sources like Facebook or Flickr, for example. And the same thing goes for videos. You can even use a video as a background on one of your pages. More and more people are trying to start their own online store. And now they have the option to do it on Wix as well. The truth is that wix has great features. However, you need to know that you will need an e-Commerce premium plan to actually receive payments. Even with this con, the reality is that Wix continues to be very intuitive. The product-editing panel is incredibly detailed and you can even group your products by categories if you want. Plus, use coupons as well. You know how much people love them. In what concerns with payment options, you can expect to have Square, Stripe, Paypal, and even snail-mailed cash. In case you’re selling digital items, you’ll need to use a paid app from Sellfy or POWr. The only exception goes for music that you can sell without any transaction fee directly through theMusic app of Wix. You already know that content marketing is one of the best marketing strategies you can have to grow your business. And with Wix, you won’t have any problem about having a blog and adding or editing your engaging content. To create the Blog page you just need to click on the Blog entry that is right on the element toolbar of the main site. You can define the layout you want, you can display a tag cloud, tag posts, allow Disqus comments, Facebook comments, or include an RSS button. Adding a post on Wix is incredibly easy. It’s as simple to use only text as it is to add an image, video, galleries, all that you want. Plus, you can schedule the post for later publication. One of the things that you should already know is that your website should be fully responsive. This means that no matter if a user is seeing it from the PC, laptop, smartphone, tablet, or any other device with Internet connection, they should see it the exact same way. One of the problems about the Wix website building platform is that their websites aren’t responsive in the strictest sense. However, this shouldn’t be a problem either. The reality is that Wix creates a mobile version of your website that is Google friendly. All you need to do to check out how your website is going to display in smaller screens like on your smartphone, just tap the smartphone icon that you can find on the top of the website editor. Usually, you shouldn’t have any problems with this and you’ll most probably be happy with the result. However, in case you want to change something that it just doesn’t seem ok to you, you can edit the mobile view. For example, you can add a Mobile Action Bar that will allow your visitor to email or call you with a single tap or you can hide some elements from the mobile version of your website. Just like having a responsive website, you also need to make sure that you have on-site SEO. And you do have it with the Wix platform. Within Wix, you can find the most diverse SEO elements that you need to make sure that Google and other search engines can rank you well. These include page’s metatags (title, description, among others), alt text for images, headline tags, anchor links, redirecting tools, Google Analytics system, and even site verification for other analytics services that you might want to use. – Needs to improve the full-responsive websites. The truth is that it’s pretty hard to beat Wix, After all, such a drag and drop platform, with so many features included, is incredible. Even though they have still a major problem especially in what comes to full-responsive websites, the truth is that they were able to come up with a good solution by creating a mobile friendly page that you can edit. Overall, Wix allows you to build the website that you had at your head, without even touching a single line of code. All you need is to drag and drop the elements and place them where you want. Editing couldn’t really be more simple or intuitive as well. So, it’s really not that big of a surprise that Wix is one of the preferred options for DIY business owners. I hope this review was helpful. Please share this post and leave a comment. Click here to learn about my # recommendation for online marketing.